Jason Patchen is a senior executive and CEO of the Health Systems Group, for Centene Corporation, a $60B healthcare company, and the founder and former CEO of Visionary HealthWare, Inc., a division of CompuGroup USA. 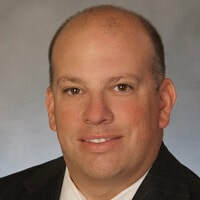 With more than twenty years of experience in managed care and related healthcare technology service, Jason possesses a unique and extensive depth of knowledge and experience with the HIT industry. Before creating Visionary HealthWare and the American Healthcare Holdings family, he served as Chief Operating Officer at Health Integrated, Inc., where he was instrumental in growing the company from its early stage to a multimillion dollar enterprise. Jason was recognized as a finalist in the 22nd and 24th annual Ernst & Young Florida Entrepreneur of the Year® (2008 and 2010) award program and was a winner of the Tampa Bay Business Journal's "40 under 40" award for promise in business. Jason also has been recognized as one of the most influential people in healthcare by the Florida Medical Business Journal. He is a graduate of the State University of New York at Potsdam with a degree in economics. He holds an MBA in finance and an MBA in human resources from the Sage Graduate School of Russell Sage College in Troy, New York.